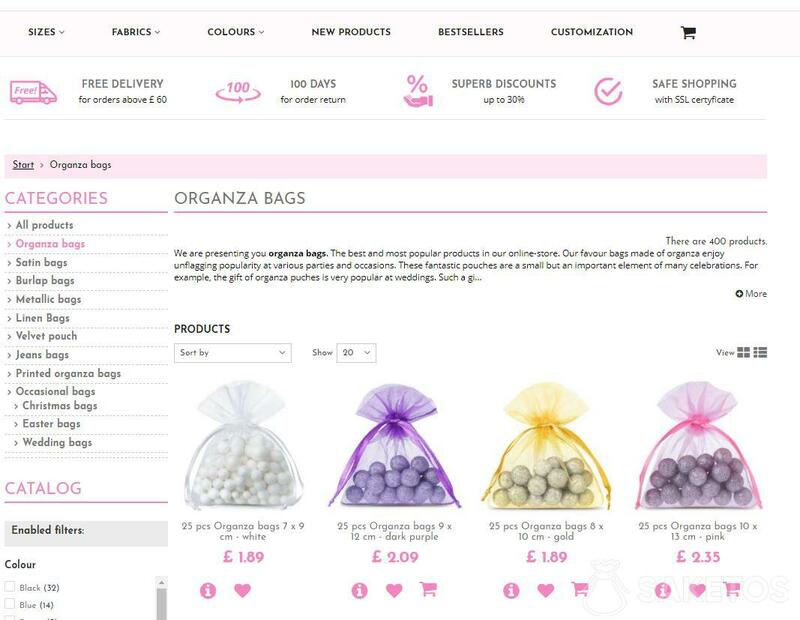 What is organza? What is this fabric used for? Inspire yourself here! Flowers, decorations for important events, or small decorative articles – today, all of it must be of best quality materials, as well as meet elegance and fashion criteria. Organza is a fabric thanks to which, we can achieve a final effect that is both elegant and stylish. What does organza look like? 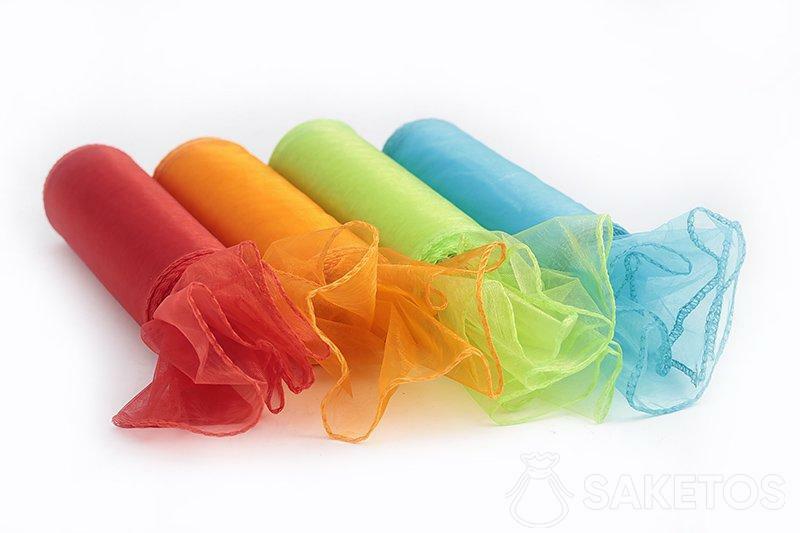 Organza is a delicate fabric made from a thin, minute mesh, and is a very decorative. There are many ideas on how to use it. Thus it is one of those materials that you can make anything decorative out of. It is very plastic and malleable. Therefore making decorations and elements out of it is not hard. 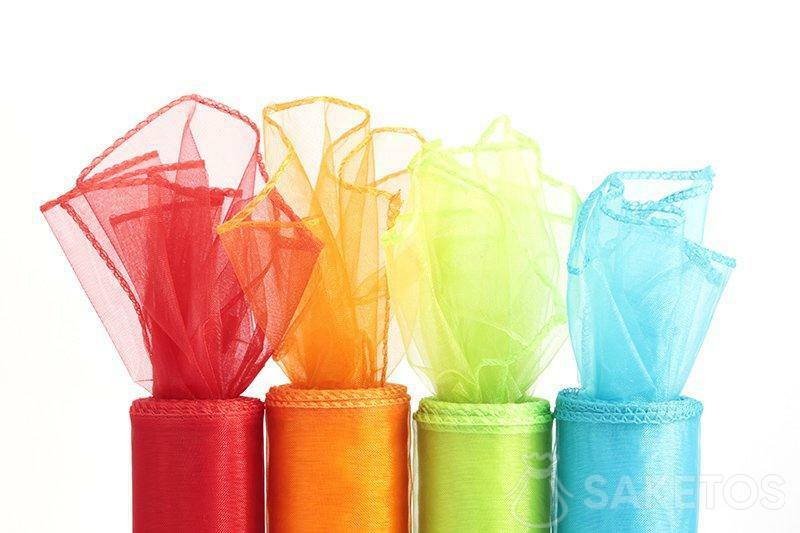 Organza has many various applications, some of which you can read about below. 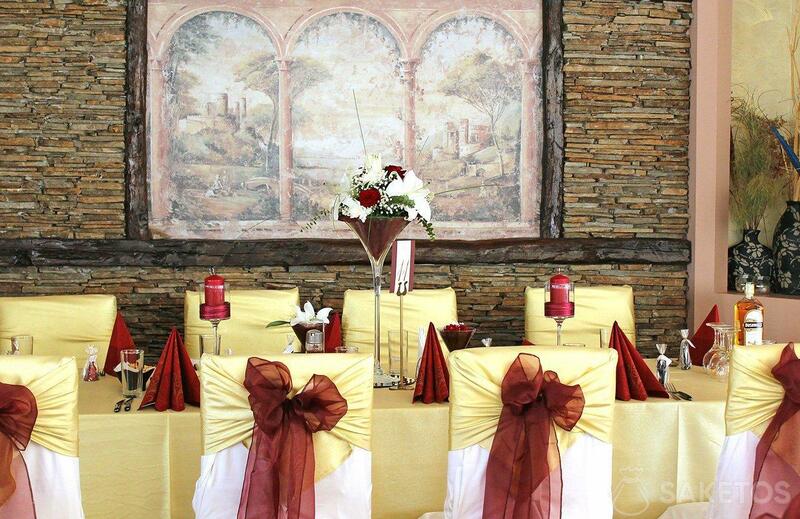 Most of all, you can decorate a table with organza. In addition, the advantage of it is that you can re-use it many times. Cutting an appropriate length from the roll of your choice will make an easy tablecloth. Later, you can reuse it and cut it into smaller elements. It will make a suitable decoration for any occasion. Hence it is very versatile fabric! 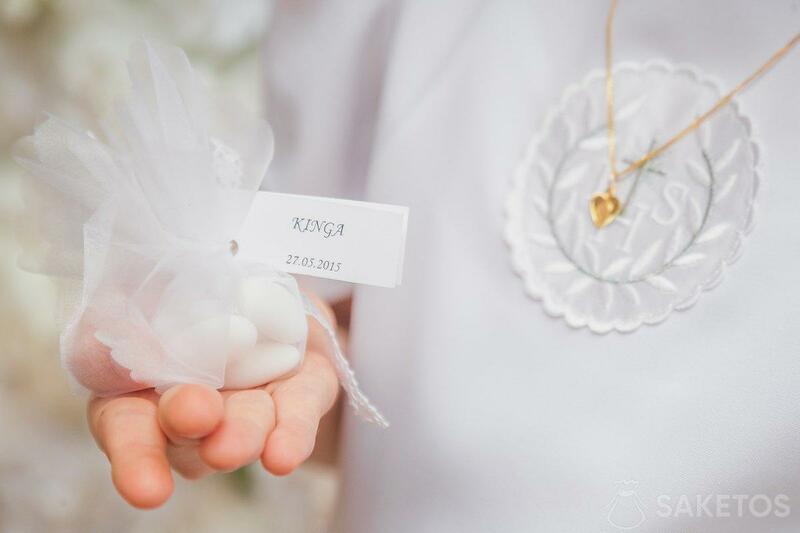 It is not possible to talk about organza without referring to one of the most popular uses of this fabric, which is decorating chairs in halls during weddings or parties. Fantastic bows of various colours can be tied easily and can be modelled to your taste and the desired effect. That is why, a definite advantage of organza is that it is offered in various colour options, thanks to which anyone can find a suitable option for themselves. 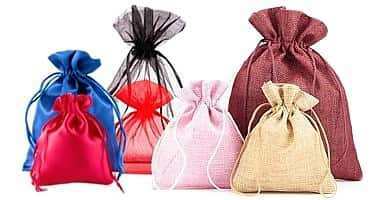 Staying on the topic of parties – weddings, baptisms, communions – organza is also great for making tiny pouches, within which you can place memorable gifts for your guests. Don’t worry! You don’t have to sew them yourself, you can buy them ready made in different various sizes and colours. In addition, it is not the only application – you can make stylish scented pouches as a freshener for a wardrobe or drawer. The small holes in the fabric will allow a beautiful smell to permeate. Not only small, but also large pouches can be successfully sewn from the organza fabric. They will make for handy packaging or storage for jewellery, money, or cosmetics. Flowers are the next chapter of the journey through functions that organza fulfils. First of all, it is often used by florists – as a decoration in the form of a bow to a nicely arranged bouquet of cut flowers. Such an organza bow is simple to make and has a very attractive appearance. Thanks to such an addition, you can make many items more exciting – dresses, hair bands, picture frames, a room, or just a bouquet of flowers. Second of all, you can create artificial, but nevertheless very attractive hand made flowers. These flowers can be both a table decoration, an element in a jewellery box, or as an element personalising an outfit. A flower can be sewn onto an article of clothing, or attached with a pin, creating a beautiful, unique brooch. 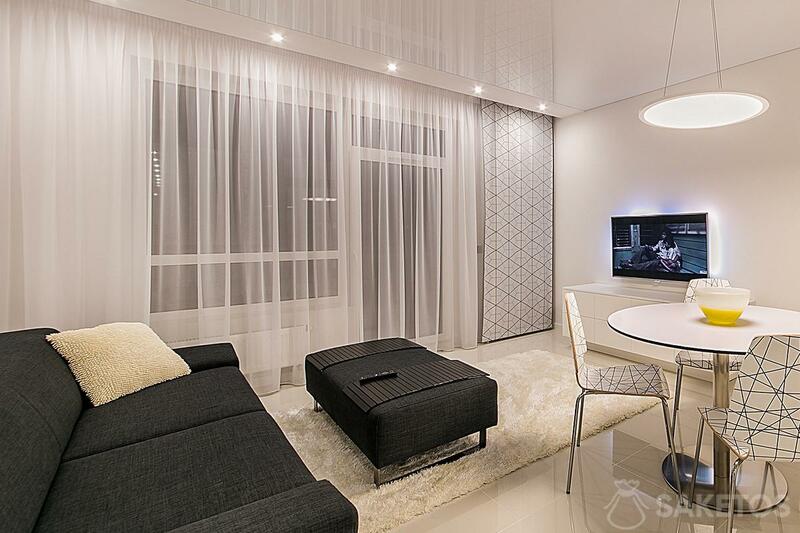 What is organza used for in interiors of homes and apartments? Can it be implemented skilfully to create a unique effect? It definitely can! 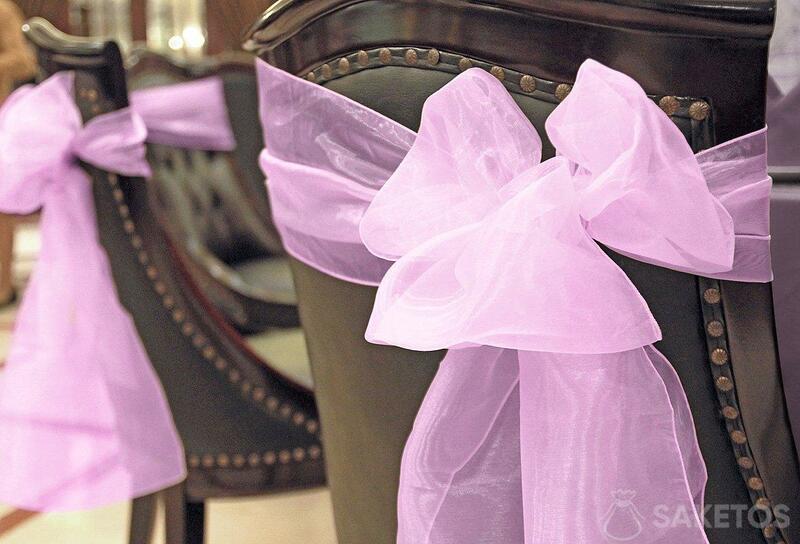 Using organza to decorate interiors is a great idea. You can create or buy elegant and delicate organza curtains, which will add an intimate atmosphere to the interior. Another idea is creating a shade for a lamp. Organza as a lamp shade will delicately diffuse the light of the lamp. The options for interior decorations are only limited by imagination. 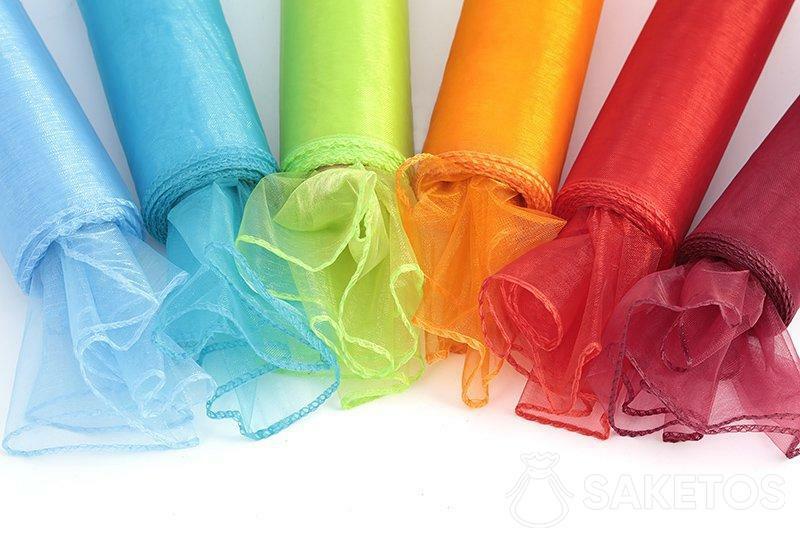 We can choose from many different options – smooth organza, organza with frills, etc. The options are endless. Thus many inspirations can be found on the internet, where various tutorials are available. They show step by step how to make organza decorations. It is worth trying out yourself the many ways in which you can create an interesting addition to your apartment. Why not? This wispy fabric is an inexpensive, but a very attractive and fancy method for wrapping a gift. It is enough to place an item on a piece of organza and pick the corners up to the top. You can do it by tying together with a bow; or use ready made organza pouches for packaging.